Last night, The Rake celebrated the incredibly successful launch of the IWC Pilot’s Watch 36mm at George Cleverley in The Royal Arcade. 150 watches sold out in 18 minutes, as such, it was guaranteed to be a memorable evening. 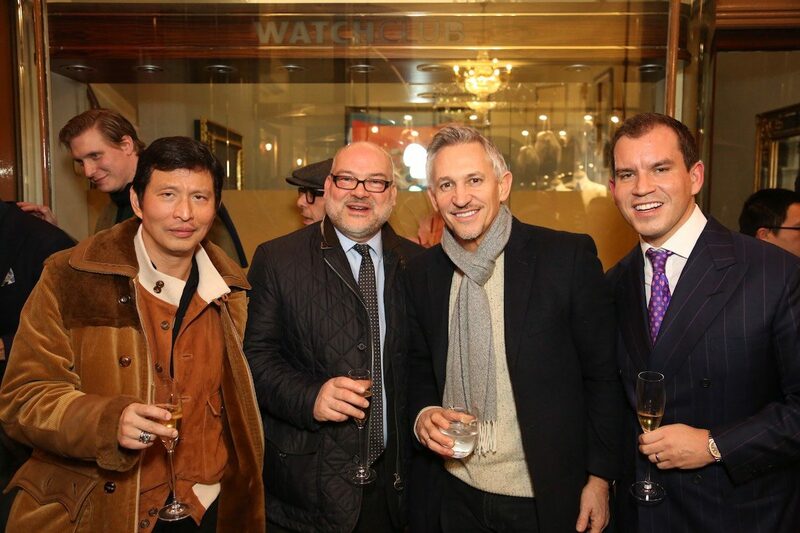 Wei Koh, Simon Chambers of IW, Gary Lineker and George Glasgow Jr.
Last night, The Rake celebrated the immensely successful launch of the IWC Pilot’s Watch 36mm Limited Edition, made in collaboration with The Rake and George Cleverley. It took place at the latter's premises in The Royal Arcade in the heart of Mayfair, London. And a celebration it was. After all, 150 timepieces were produced and they all sold out in 18 minutes. That has to be some kind of record, don’t you think? Well, it was actually 148 as we held back two watches for two lucky winners. The Rake’s founder, Wei Koh, and George Glasgow Jr, CEO of George Cleverley, came up with a little game. 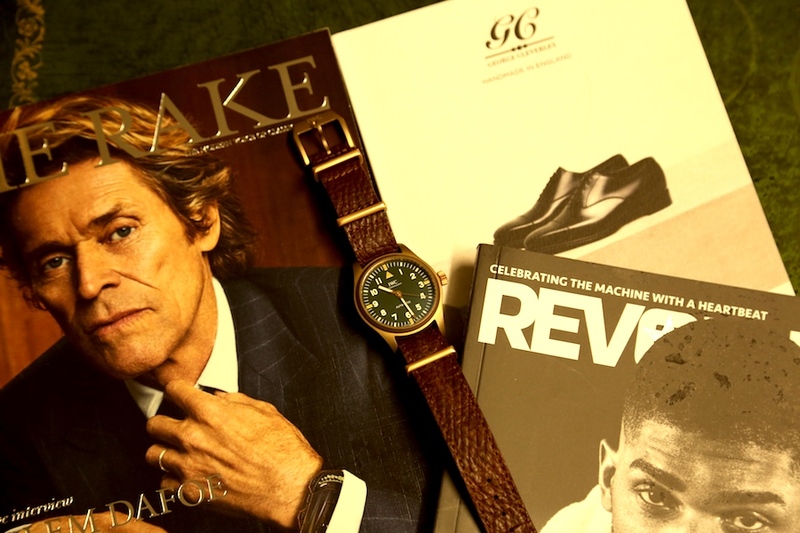 A day before the party, we announced on Instagram that were two remaining watches left, and all you had to do to get yours was to find George Glasgow and answer four questions regarding the Russian reindeer hide leather strap that was made for the special Pilot’s watch. The questions were as follows; What year did the ship with the hides set sail? ; What was the name of the ship? ; Where was the port of departure? ; and where did it sink?. It only took 10 minutes for two gentlemen to find George and the evening was off to a cracking start and The Arcade quickly filled up. We’d like to say a huge thank you to all parties involved, especially George Glasgow Sr and Jr of George Cleverley, and Christoph Grainger-Herr and Simon Chambers of IWC, plus, our sponsor for the evening, Boll & Cie, who kept all of our guests’ thirst at bay.